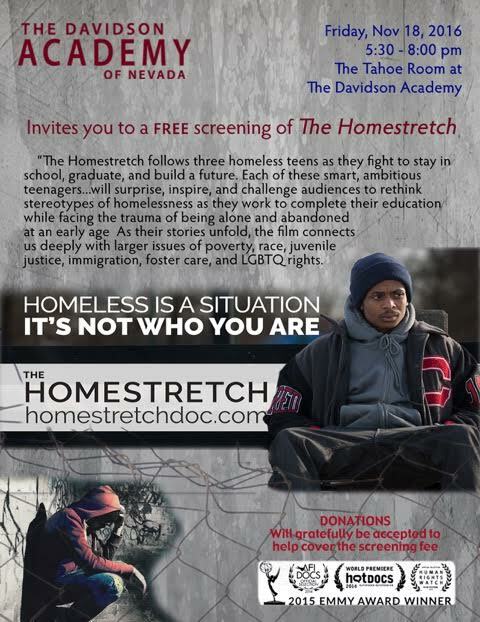 We request donations to help cover the screening fee. Any monies collected over and above the screening fee will be donated to the Davidson Academy to aid Academy families in need. Contact John Grinnell for more information. Bret is the author of From Boys to Men: Spiritual Rites of Passage in an Indulgent Age and The Undercurrents of Adolescence: Tracking the Evolution of Modern Adolescence and Delinquency Through Classic Cinema. He has been a counselor of at-risk and high-risk adolescents for almost 30 years. Bret has worked in residential treatment, clinical counseling agencies, group homes, private counseling, foster parent training, Independent Living Program, and has managed mentoring and tutoring programs. He has been a presenter and speaker at numerous national and international conferences and workshops, including being the teen coordinator at the International Transpersonal Association's Youth Conferences in America and Ireland, the United Nations World Peace Festival, Institute of Noetic Sciences, the World Children’s Summit and private workshops in Switzerland. Bret has worked with teens from more than 100 countries. Bret is owner of the Adolescent Mind, a teen consulting business. He has trained and designed programs for numerous organizations including the Girl Scouts of America, Adirondack Leadership Expeditions and CASA. Bret is currently interested in creating youth employment and youth entrepreneurial models. Since the translation of From Boys to Men into Czech, he has been visiting Prague yearly to provide youth training to professionals. Lisa is graduate student in the anthropology department at the University of Nevada, Reno. Her interests are medical anthropology, applied anthropology, global processes, neoliberalism, identity, power, stigma, addiction, gender and "houselessness." Her current research focuses on the ways in which harm reduction as a counterdiscourse frames how clients, volunteers, and staff shape and maintain the social space of a local syringe services program. She is currently a Community Based Case Manager for the Homeless at Northern Nevada HOPES through an interagency partnership with Washoe County Social Services, Community Health Alliance, and Catholic Charities. Lisa was “houseless” from the age of 18 through 26 and finds strength in these experiences coupled with passion to help others find their way out. She has started a writing group for people who are experiencing homelessness called V.O.I.C.E. (Voices of Inspiration, Courage, and Empowerment) and is hoping to flood local discourse with the voices of people at the frontlines. Outside of the academic setting, Lisa is a proud mother of two, a wife, and she loves traveling, volunteering, reading, camping, hiking, playing music, performance art, activism, belly dance, and of course spending time with her kids and dogs. Corey is a Masters of Social Work student at the University of Nevada, Reno. She has experience working with homeless youth in the area from The Eddy House and is currently interning with the WCSD Intervention Department. As the City Life reporter at the Reno Gazette Journal, Mike covers stories about life, culture, and development in Reno, including homelessness and gentrification.